Having your own garden is very pleasing, yet it also entails a lot of expenses on your part especially in maintaining your plants healthy and beautiful. Yet, it is possible to save money while still being able to fertilize your plants organically. Organic fertilizers may be a tad bit costly, yet you can always make your own organic fertilizer that would yield the same results without costing you too much. 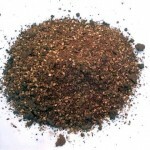 The process of making your own fertilizers is not difficult. If you do not know where to begin, you can start by browsing the web regarding that topic. For sure a lot of helpful related literature will come up. Organic fertilizers may be expensive but when you look for its components individually they come out a lot cheaper actually. You can even get most of it for free in your homes. Looking through for the rest can be found at a gardening store or feeds dealers. Saving up on the cost of the fertilizer is just one of the many benefits of making your own fertilizer. Homemade fertilizer as we know it is organic in nature hence it does a lot of good for the content and chemistry of the soil. Everything about it is all-natural so you do not have to worry of toxic waste build-up that can alter the chemistry of the soil making it less ideal for planting. Homemade fertilizer can make your soil richer and the results are healthier plants. Owners of vegetable gardens that have been fertilized by fertilizers that they made on their own even claim that the vegetable themselves were more delicious and definitely more nutritious as well. The kinds of fertilizers you ca make at home are of two types. You can either make a traditional style fertilizer or do away with composting. Traditional style fertilizers are similar to inorganic fertilizers that make use of ingredients that are rich in nitrogen, phosphorus and potassium. This is used because it is very rich in nitrogen and it is used to neutralize the soil acidity. 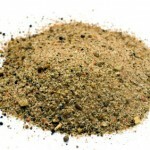 Seed meal is actually a waste product in the process of making oil either for cooking or cosmetics. The usual sources of seed meal are cotton, soybean, sunflower, flaxseed and other plants used in making oil. It is also inexpensive. The cost varies depending on the source of the seed meal. Cotton seed meal contains as much as 85% of nitrogen and it only costs $1.50 per pound. You can even buy these by bulk. Hence, before organic farming was introduced, cotton seed meal was added to plants alone already. This is also used to neutralize the soil acidity. It aids the seed meal in this task. • Agricultural lime – This is mainly composed of calcium carbonate. • Gypsum – This type of lime is composed of calcium sulfanate. The sulfur content makes a difference in the growth and development of the plant. • Dolomite – This is made of calcium and magnesium carbonates in equal amounts. Calcium is more beneficial for the plants though. Yet, this is still a great ingredient to use in making homemade fertilizers. A balance of these three types of lime is recommended. However, if you only want to use one, dolomite is your best choice. This is used to provide for the phosphorus content of the homemade fertilizer. 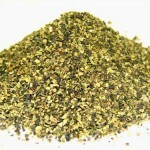 This also helps neutralize acidic soil and it gives a lot of nutrients for both plants and vegetables. This is actually a waste product in meat processing. Thus, it is relatively cheap at only $5 for 20 pounds. This is the source of potassium in your homemade fertilizer. 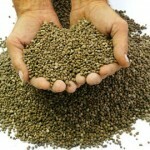 It also adds a lot of other nutrients to the whole mix which are beneficial for the plants. However, this is the most expensive ingredient that you have to add into the homemade fertilizer at around $40 for a 50 pound bag. Now that you have all the ingredients, all you have to do is to find a container where you can mix them up and store. The amount you will need and the amount you have to make is dependent upon the size of your garden.